Sandestin Golf and Beach Resort is the ideal location for events, festivals and gatherings, our Tom Schultz sat down with Brooke Scholl, Marketing and Communications Manager for Sandestin Golf and Beach Resort, to talk about the event. If your ideal early spring getaway involves sunshine, pristine beaches and breathtaking vistas, the Emerald Coast of Florida is the destination for you. While the area has a relatively short history, from the beginning it was designed as a vacation oasis. The area began to see growth in the late 1940’s after WWII came to a close. Developers built resorts, homes and other lodging venues in hope of catching the overflow vacation traffic from Fort Lauderdale and Miami. The area was dubbed the “Miracle Strip” by a local journalist Claude Jenkins in 1956, as a marketing ploy to attract new visitors, and attract it did. More and more resort communities and businesses popped up along the coast during the second half of the 20th century. The area received the name “Emerald Coast” in 1983, coined by a high school student during a contest to determine a new nickname for the area. Now the Emerald Coast is one of the finest vacation destinations in North America with activities, attractions and lodging for all tastes and budgets. When it comes to things to do on the Emerald Coast, look no further than the pristine white sand beaches and the stunning turquoise waters of the Gulf of Mexico. The sand itself is naturally cool to the touch no matter the temperature due to significant amounts of quartz. You’ll find ample opportunities for sunbathing, fishing, beach games, sailing, kayaking, snorkeling and diving, all without leaving the beach. The area is also home to many great boutique shops with items you won't find anywhere else. Restaurants and diners here are numerous and present you with an eclectic selection of menu options. Another fun and entertaining option for visitors to the area is participating in one of the local festivals, like the annual Sandestin Wine Festival, April 14-17. For 30 years the Sandestin Wine Festival has been showcasing some of the finest wines and most delicious foods in all of the Southeastern United States. Over 4,500 people, from all across America, make their way to the Emerald Coast for this festival annually . The event is hosted by Sandestin Golf and Beach Resort. They have great deals for the event so make sure to plan in advance to get the best deal possible. This event is great for all levels of wine and food enthusiasts, with something for every palate. Begin your spring in style and head to Florida's stunning Emerald Coast for the Sandestin Wine Festival. .
RAL: Tell me a little bit about the event. BS: The Sandestin Wine Festival started in 1987. In those days, six-foot tables lined up one after the other, wine pouring, and sharing stories was the extent of the event planning. From humble beginnings (8-10 vendors for the inaugural year) to the grand extravaganza we know today, drawing thousands of people from across the nation annually, the event is truly one of the landmark wine events in the southeast. As we look back on the history of this festival, it’s amazing to see how after 30 years, the Sandestin Wine Festival has aged to perfection; from a small festival to the 4,500 people in attendance over the four-day span. The Village of Baytowne Wharf at Sandestin is family-friendly, pet-friendly, and open to the public. Sandestin Golf and Beach Resort has everything you need for a great beach vacation. RAL: What makes the festival unique? BS: The Sandestin Wine Festival takes place at Sandestin Golf and Beach Resort. Offering nearly 1,300 deluxe accommodations from the beach to the bay, Sandestin features a winning combination of accommodations, events, activities, dining, and shopping, unmatched by any other vacation destination. Stay steps away or a complimentary tram ride away from the event at Sandestin. All ranges of knowledge are encouraged to attend to the festival, wine novices to aficionados alike. Crystal tasting glasses are provided and etched to commemorate each year’s event because tasting is such an important part of the festival. Oenophiles can meet with dozens of wine experts, ask detailed questions about their pour, and even find hard-to-get selections for their collections. Plus, you can buy bottles of your favorite wines sampled along the way at the ABC Fine Wine & Spirits retail tent. BS: The event has been able to add more wines from around the world, along with a food component, extending the festival all around the village streets and the Grand Lawn. We’ve also been able to extend the festival into a full weekend of events for people that love wine and food, as well as the beautiful beaches of Sandestin. BS: Yes, here is a breakdown of the appearances. RAL: What can patrons expect for dining options? BS: We have a series of great dining options for our attendees to enjoy. Wine Dinners (April 14-16): Indulge in culinary delights with a choice of special Sandestin Wine Festival wine dinners combining unique menu creations paired with wine selections at restaurants in the Village of Baytowne Wharf. Champagne & Seafood Voyage (April 15, 12-3pm): Board the SOLARIS for a memorable champagne and seafood cruise on the majestic Choctawhatchee Bay. This event features a dockside reception at Baytowne Marina with a pairing menu. Delicious Food Pairings (April 15-16): Enjoy samplings from favorite local restaurants with the Savor South Walton experience during the grand tasting events. Brunch on the Bay (April 17, 10am-2pm): Cap off your Sandestin Wine Festival weekend with Brunch on the Bay at Baytowne Marina. Enjoy live music and free-flowing specialty drinks as you choose from a wide selection of fresh, seasonal brunch items. RAL: What is the overall environment of the festival like? BS: The Sandestin Wine Festival, voted Best Annual Event in Destin, is a picture-perfect four-day event, complete with white tents, flowing wine, delicious food, live music and so much more. Affectionately called the “Kentucky Derby of Wine Festivals,” attendees will enjoy wine tastings showcasing hundreds of domestic and international wines. Visit Sandestin this April and enjoy beautiful weather and an amazing food and wine event all weekend long. RAL: What will people find for local lodging? 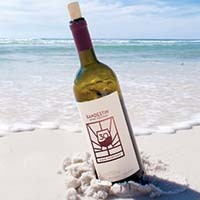 BS: The best way to experience the Sandestin Wine Festival is to book accommodations at Sandestin Golf and Beach Resort. Save 25% off deluxe accommodations and even more on tickets with Promo Code: WINE16. Sandestin offers nearly 1,300 deluxe accommodation options, all of which offer easy access to all of the event festivities. RAL: Does the festival drive extra business to the local economy? BS: Absolutely. The merchants in the Village of Baytowne Wharf join the fun for the Sandestin Wine Festival with wine dinners and specials. They are a great place for guests to hang out the entire weekend. The Village also features regional chefs as a part of the Savor South Walton experience, allowing the event to bring in talented local celebrities as a feature of the festival. Local vendors are used for the logistics and event supplies including Coastal Ice, Kentwood Water, and Kents Tents and Events, just to name a few! RAL: Is there any special causes that the festival supports? BS: This year, as in years past, proceeds from the Sandestin Wine Festival benefit the Fisher House of the Emerald Coast and Sandestin Foundation for Kids, totaling $20,000. RAL: Why should people come? BS: The event is known as the “Kentucky Derby of Wine Festivals”. It is the most established and longest-running wine festival not only on the Emerald Coast, but throughout all of Northwest Florida. It is also regarded as one of the top wine festivals in the country. Coastal Living Magazine, the premier magazine for people who love the beach lifestyle, is a presenting sponsor. Other organizations including Visit South Walton, ABC Wine and Spirits, and Good Grit Magazine, participate as supporting sponsors. With over the 30 years of experience in running the event, we have found a rhythm that works for our resort, and most importantly, our guests. We continue to improve logistics of the festival, which helps us continue to expand and make the experience even better. We hope to continue to bring back our faithful patrons as well as new guests each year. For more information about the Sandestin Wine Festival, please visit their website.